This is a view from the harbor tour boat of historic St. Michaels, Maryland. 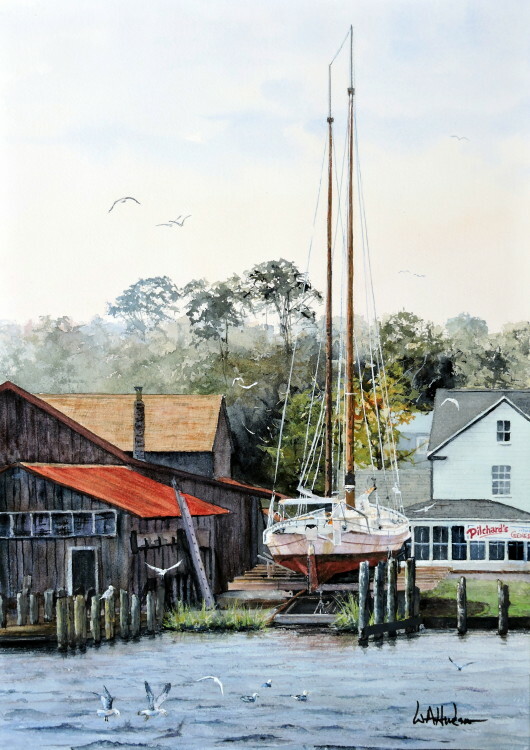 St. Michaels is home to the Chesapeake Bay Maritime Museum and is famous for having tricked the British in the War of 1812 when residents hoisted lanterns into trees. The British attacked the town with cannons at night and consequently overshot every home and shipyard.